The Elder Scrolls V: Skyrim needs no introduction to the computer gamers as by now it's considered to be one of the best RPGs ever made. Many avid followers of this genre have been waiting for a long time, 5 years to be more precise, to relive the magic created by Bethesda Studios. The developers had a very difficult task in their hands- to make a worthy sequel of what many regard to be the most popular action RPG franchise of all times. But when Skyrim launched in November, 2011, it not only met the expectation of gamers worldwide but for many also set the bar for free-flowing RPG excellence, just like its acclaimed predecessors. The internet is flooded with reviews (like this one) that can't praise the game enough and would've given a feel of being biased if not for the seer number of such reviews! But an Elder Scroll game is by no way complete without the modding tools. Bethesda has established a long and rich tradition of empowering gamers with tools necessary to modify the content of its games. In fact, many consider this to be one of the prime reasons behind the incredible success of the Elder Scroll games. Modding has become an integral part of Bethesda's games as this is an unique opportunity for gamers and developers alike to tweak the game to their heart's content. That's why every time there is a new elder Scrolls title beacons in the horizon, modding community waits in anticipation for modding tools to become available. Another fascinating aspect of these tools/software provided by Bethesda is that these are no armature or casual stuff, rather Bethesda gives away the very tool-set used for designing and developing the game itself! Anyone who has spent time with the construction kits made available with the previous titles such as TES III: Morrowind and TES IV: Oblivion, would appreciate the level of customization and fine-tuning they offer. 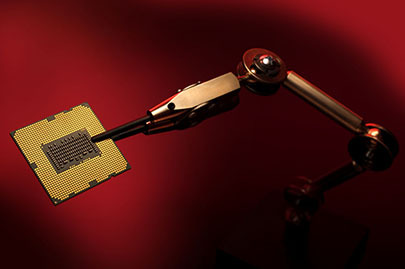 From the 3D models and textures files used in the game to the scripts and functions written inside of the game engine to run the sequences and interactions -all can be modified according to the users will and purpose. This is what makes TES games so much special! Skyrim is not going to be any exception when it comes to modding as Bethesda Softworks has already made the tools needed to tweak and edit the contents of the game. 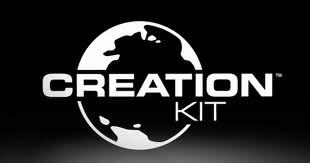 Bethesda calls it Skyrim Creation Kit (it was known as construction kit with previous titles) and can be found via Steam, the digital game distribution platform from Valve, completely free. This may cause some inconvenience to some as not everybody is a fan of DRM contents (like myself) but I believe this to be a moot point as the game itself is offered in Steam and needs the user to register into the platform. Anyway, it seems the awesome modding community wasted little time as one can already find and download an incredible number of mods flying around the web. There are good ones and there are not so good ones, but once again it's not about the quality of the mods but about expressing yourself in any way you see fit. The essence of modding lies in the spirit of creation and free expression and kudos to Bethesda for understanding that.